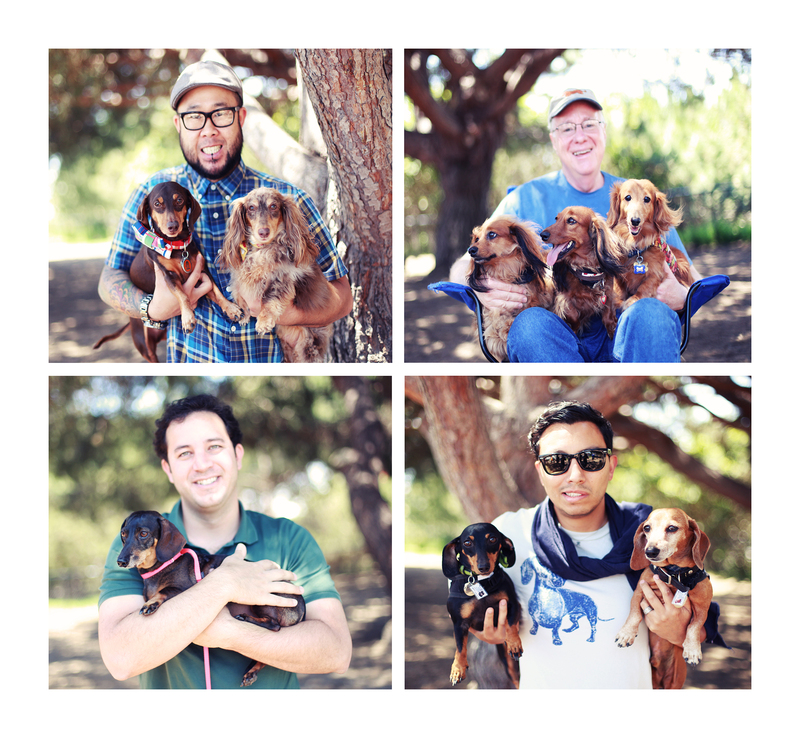 I normally do not feature humans on this site; however, this past weekend our local meetup group LA Doxies had it’s monthly meetup / Father’s Day celebration. 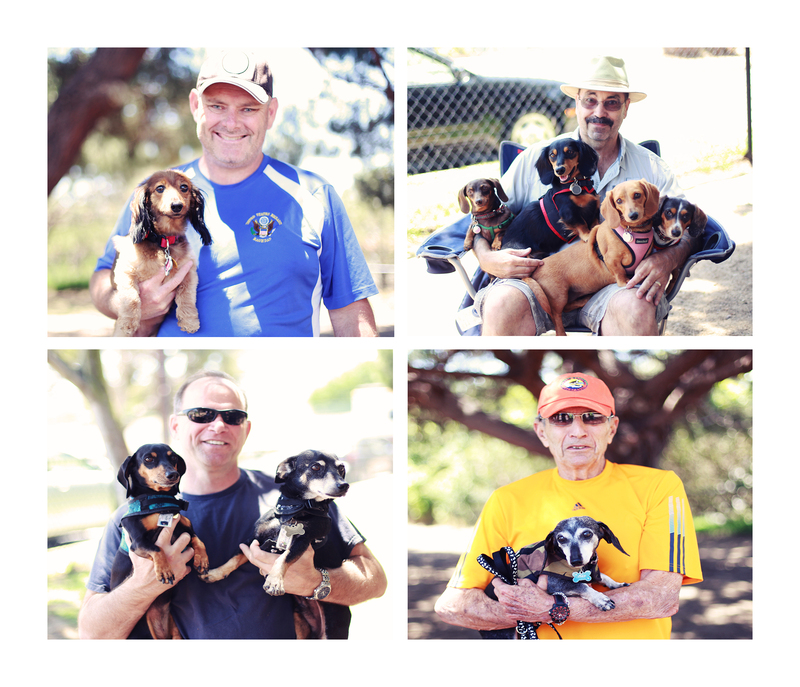 As a treat to those who attended I photographed the doxie dads with their hounds. When I got home I absolutely loved the diversity I had captured in relation to the dachshunds and their humans. Many continue to argue that the dachshund breed is such a popular one because it’s so varied: three coat types, two main sizes and multiple color combinations. In the composites you see evidence of this thinking, you see young and old, some with one doxie, others with two and a few with three or more and dachshunds all having different colors and coats. When I applied for my grant for the book 102 Dachshunds and got it, I asserted that dachshund community is a very eclectic one and some of us would never know each other if it wasn’t for the fact that we shared the love for the breed. Moreover, I suggested that when dachshund humans come together we quickly forget our differences – political, religious, social economic, etc. – and focus on the dogs, and I think that’s a very beautiful thing. If only the world could follow our example. What do you think?! This entry was posted in Rufus' Friends and tagged #dachshund, #doxiedads, doxies. Bookmark the permalink. I love it! Everyone looks so happy! These pictures are wonderful! The Daddies are proud and the kids are happy! I have to say, that’s a brave Dad with the four doxies! Some of the most attractive men I’ve seen in a long time. Oh, wait. I’m looking at the dogs. But they do a lot to enhance the appearance of any photo. Hope mine do the same for me!